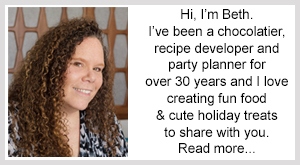 February 3, 2015 By This post may contain affiliate links. 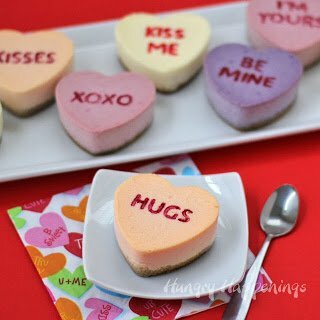 Need some Cupid approved cuisine to fly straight to the hearts of your sweeties this Valentine’s Day? 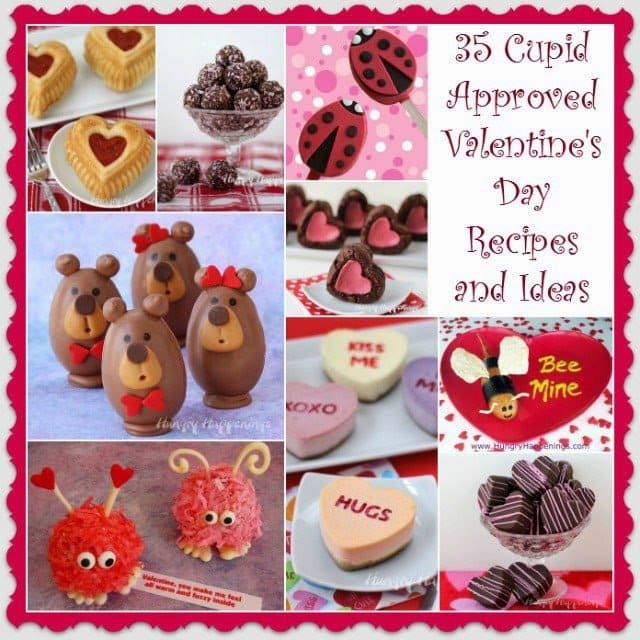 Take a look at these 35 Cupid Approved Valentine’s Day Recipes and Ideas. 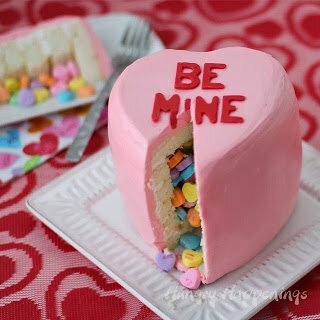 At Hungry Happenings I have some great ideas that are sure to hit the bulls-eye! 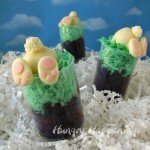 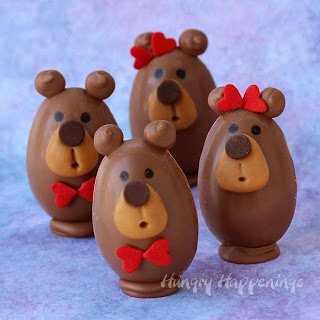 Filled with creamy peanut butter fudge and coated in chocolate, these treats are the “bear-y” thing to serve your Valentines this holiday! 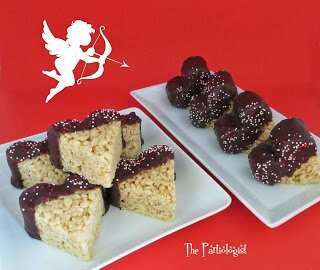 Peanut Butter Fudge Filled Chocolate Teddy BearsWhat evokes Valentine memories more than the ever popular Conversation Heart? 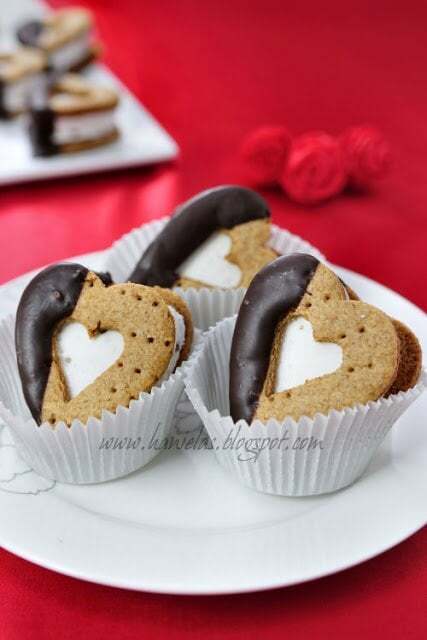 Here are a few palate pleasing recipes that will be sure to speak from your heart. 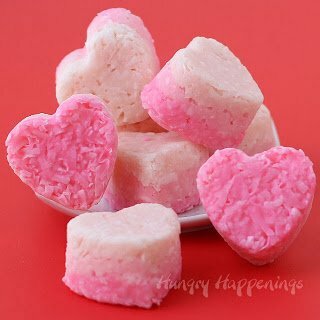 Creamy, sweet, and pretty in pink, these Ombre Coconut Hearts are a snap to create and a dream to eat! 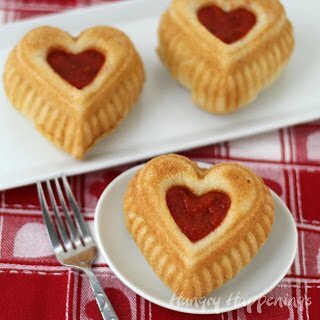 For that special Valentine’s Day dinner, these calzone pastries make a simple, elegant,”heart-y” meal for your family, a party, or “just the two of you”. 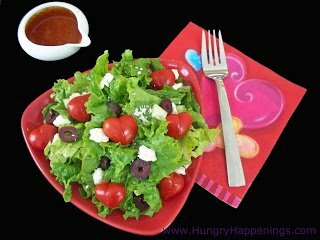 To complete the meal, throw together this simple, festive salad for the perfect pairing. 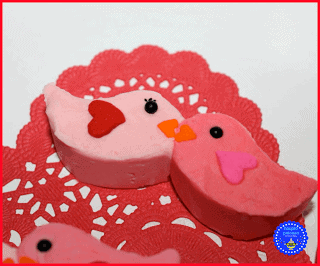 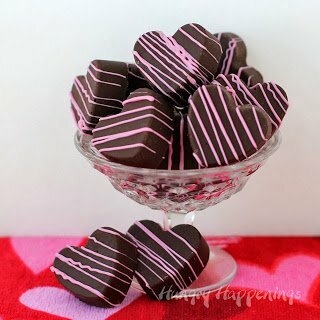 These luscious fudge hearts combine the flavors of chocolate and cherry to divine perfection. 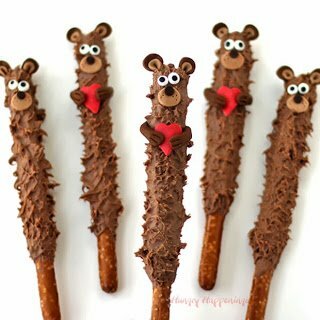 Sweet, salty, and super adorable, these chocolate covered pretzel pops work great for gifts or school treats. 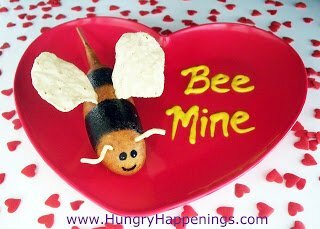 The little honeys in your life will be all abuzz about these cute corn dogs. 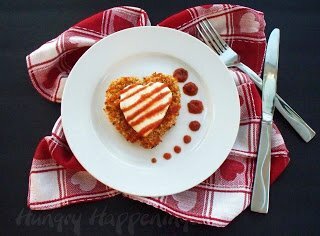 You can tuck the kids in early and enjoy a romantic dinner for two with these scrumptious chicken Parmesan hearts. 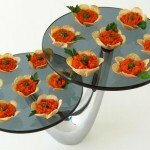 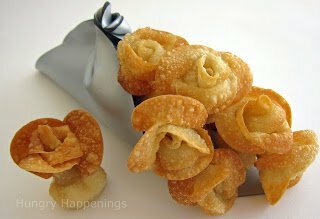 Simple to make, these wonton roses lend an elegant touch to any meal. 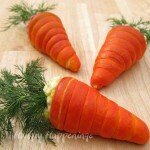 Serve with sweet and sour sauce, your favorite mustard, or any any type of dip and they make a wonderful appetizer as well. 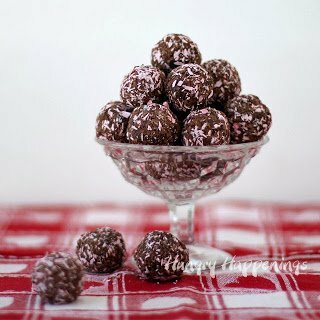 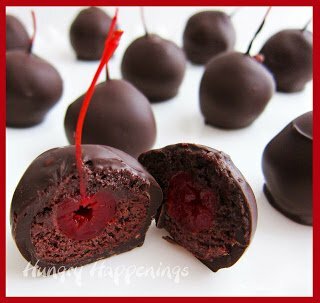 Exploding with flavor, these chocolate cherry confections will be “da bomb”! 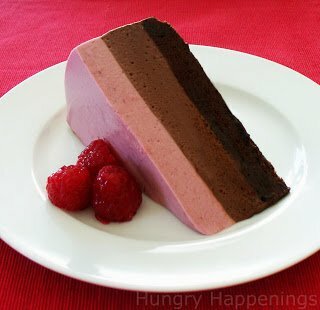 Light, fluffy, and full of chocolate and raspberry flavor, this mousse cake is a lovely and luscious dessert to include on your Valentine’s Day table. 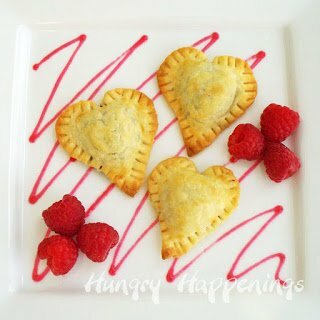 Chocolate combined with a flaky pastry bake up into a sweet twist on ravioli. 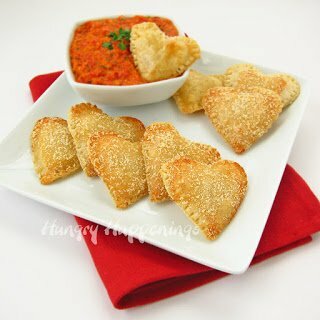 A savory version filled with mozzarella cheese and served with a roasted red pepper pesto makes a great snack or appetizer. 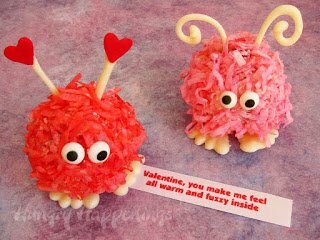 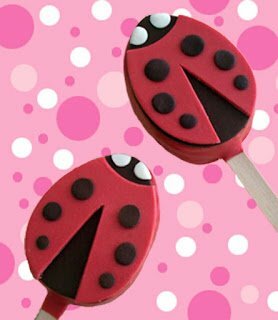 Who wouldn’t go buggy for one of these charming ladybug pops made from rice krispie treats? 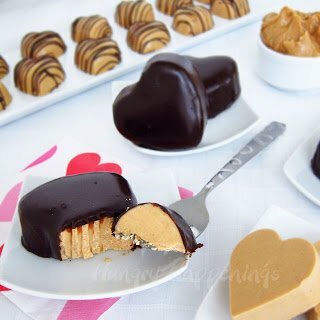 For the peanut butter lovers in your life, fudgy peanut butter chocolate hearts are sure to please. 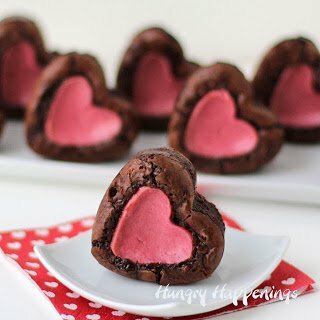 Heart-shaped cheesecake stuffed brownies that combine the incomparable flavors of raspberry and chocolate will be sure to make your Valentines’ hearts flutter! 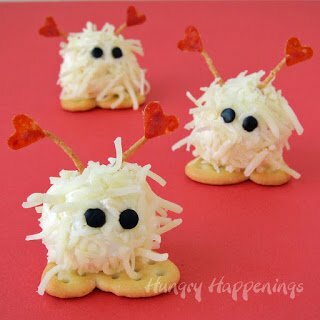 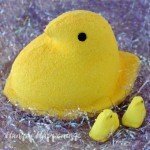 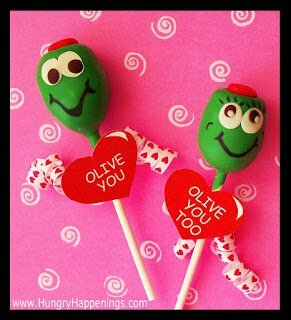 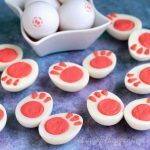 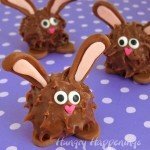 Here are a sweet and a savory version of these little cuties that will be sure to bring on the warm fuzzies. 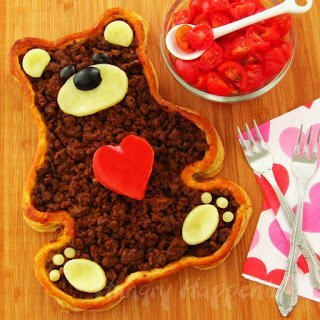 Bear hugs will abound if you whip up this teddy bear taco tart. 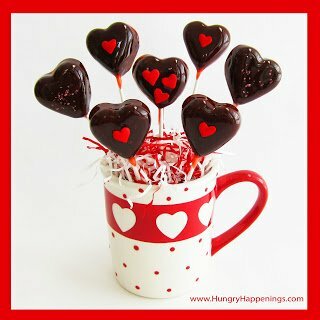 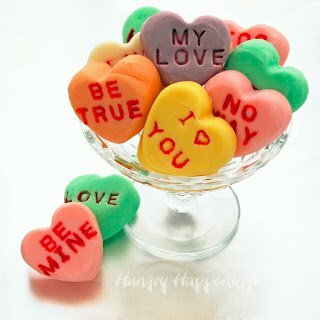 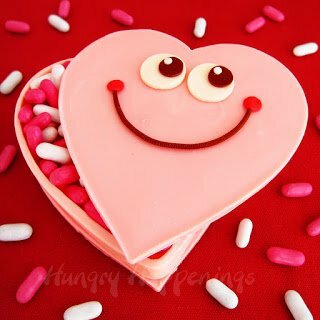 This cute and creative heart-shaped chocolate box can be decorated and filled any way that suits your fancy. 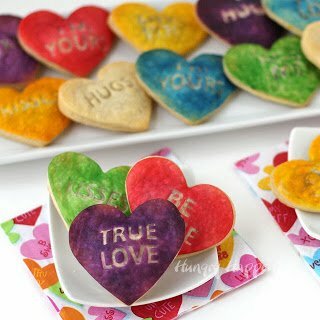 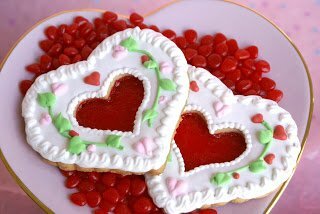 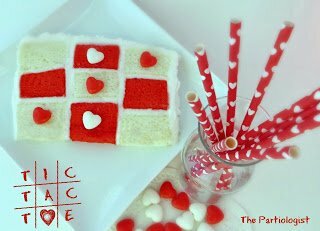 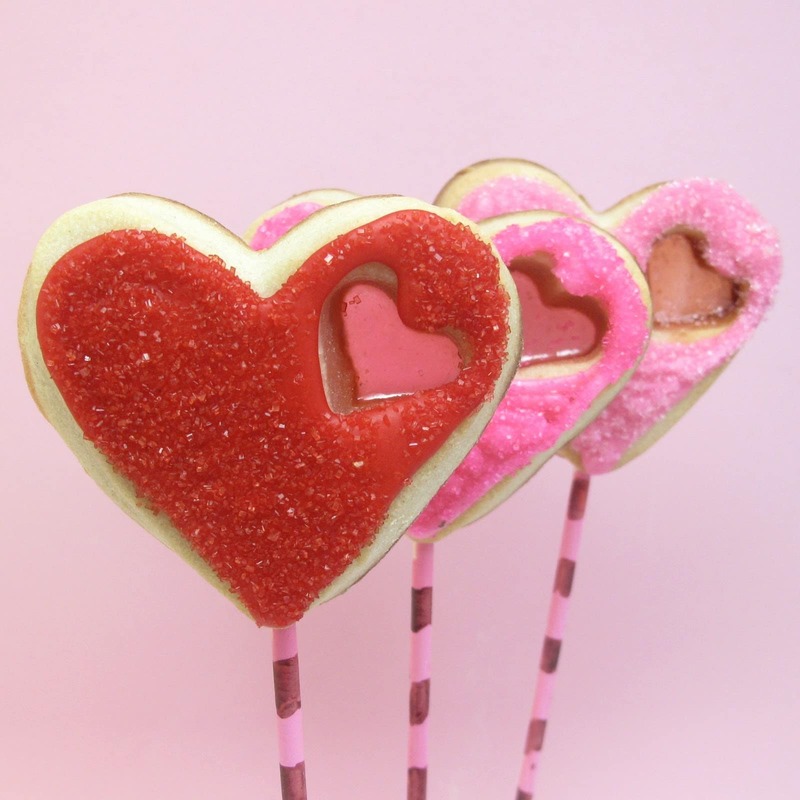 Here are a few fun Valentine’s Day ideas from around the web. 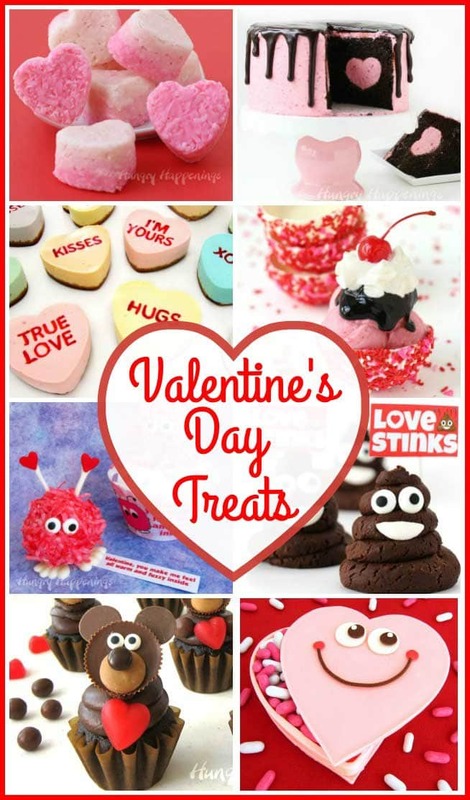 What a round up – LOVE them all!